I wanted to save the big news for this Weekly Update . 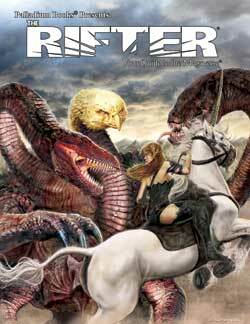 . .
Rifts® Lemuria is DONE and at the printer! 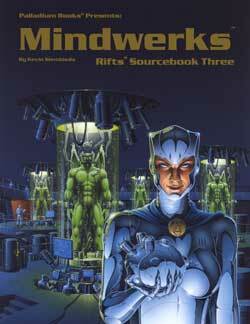 Rifts® Lemuria Megaverse® Insider Emerald Edition. We don’t have release dates yet from the printer, but should by next week’s Update. However, the printer said they will try to put a rush on them. That means the soft cover edition should be available early April (I told ‘em in time for my birthday, April 2!) and the two hardcovers should be ready 2-4 weeks after the soft cover. Reminder: The two hardcovers are “limited editions” with under 200 copies of each. They were available only as pre-orders via the Megaverse Insider offer, so they are no longer available for purchase, though we may offer a few of each at the Palladium Open House and Gen Con Indy (from Palladium’s small number of extras). Rifts® Lemuria is an outstanding book. All of us – Greg, Matthew, Chuck, Mike, Nick, Amy, Kent, Wayne, Alex and I – put our hearts and souls into this book. Heck, we even ended up adding what amounts to an additional 64 page sourcebook. We thought about chopping a hunk of the book out as a separate sourcebook in order to get Rifts® Lemuria finished sooner at the original 160 page size, but it didn’t feel right. We felt all the material belonged in one, epic book. Our expansions of Greg Diaczyk’s inspired manuscript caused some delays and cash issues, but I think you will find our labor of love to be well worth the wait. I’m thrilled to report that everyone who has seen Rifts® Lemuria has been wowed by it. And I mean “wowed” as in blown away. I must say, there is just one cool and useful bit of source material in page after page in Rifts® Lemuria, be it magic spells, Biomancy weapons, symbiotes, weird plants, Bio-Armor, War Steeds, Hydro-Psionic abilities, O.C.C.s, R.C.C.s, exotic animals, Sea Dragons, new skills, new adventure ideas, new bad guys and new realms to explore. And most of that material can be used ANYWHERE – in land-based and underwater campaigns. Almost everything presented in Rifts® Lemuria can be ported to just about any Rifts® setting or locale. You’ll see for yourself very soon. Meanwhile, you can get some advance looks at Rifts® Lemuria to whet your appetite until the book ships. Also see the new, updated description elsewhere in this Weekly Update. UPDATE: Rifts® Lemuria “Sneak Preview” on DriveThruRPG.com – is available right now! You can see the cover, contents pages and enticing snippets from several different sections of the book as a FREE pdf download. Including one of the Bio-Armors, one War Steed, a few new Biomancy spells, and other good stuff. Don’t forget, there are 90+ back stock titles, including back issues of The Rifter®, and first edition rule books for Rifts®, Palladium Fantasy RPG®, Heroes Unlimited™, The Mechanoid Invasion® Trilogy, and lots of other good things, one of which is the Rifts® Game Master Kit. ALL available as PDF downloads at reasonable prices on DriveThruRPG.com. And there is MORE coming. The Palladium Fantasy Game Master Kit, The Rifter® #0.1 and #0.2, maybe some PDF only sourcebooks, an Endless Dead™ Sneak Preview and other sneak previews and fun stuff are all coming your way. UPDATE: Rifts® Lemuria “First Look” Video Review. 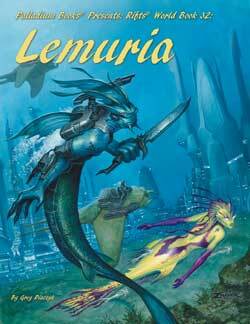 Carmen Bellaire and William Johnson have were given the unfinished (War Steeds and Sea Dragons were only partially written and not fully developed yet) manuscript files and a small selection of artwork – in advance – so they could do a First Look Video Review of Rifts® Lemuria. There is so much source material to talk about in Rifts® Lemuria that the guys had to do two episodes to cover it all. Carmen’s favorite new O.C.C./R.C.C.? The Junk Crab. The reviews are on YouTube for your viewing enjoyment right now. Click these links to see Part One and Part Two. UPDATE: Online sales. Ugly. You don’t want to know how ugly. Hopefully, with the cavalcade of impressive new releases in the pipeline, that will change quickly. UPDATE: Murmurs from the Megaverse® and Facebook. I’ve been posting regularly at both locations and will step it up now that Rifts® Lemuria is at the printer. UPDATE: The Rifter® #58. Wayne is working on it tomorrow and over the weekend. It will be released in April as usual. UPDATE: Dead Reign™ Sourcebook 3: Endless Dead™. I have already gotten back to working on the writing since Rifts® Lemuria went to the printer. 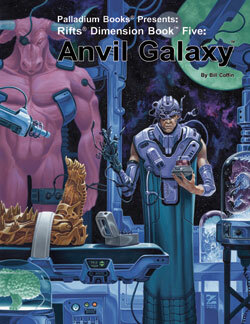 This is another sourcebook that I think will delight and surprise gamers. More about it next week. It will be released in April. 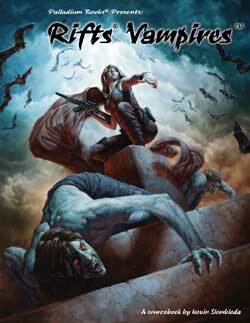 UPDATE: Rifts® Vampires Soucebook. As soon as I’m done with Endless Dead™ I dive into the completion of the book. I’ll be trying hard to have it done in time for release at the Palladium Open House (May 4-6), but no promises. UPDATE: Rifts® Miniatures. We should be offering the first batch of re-released Rifts® miniatures (Glitter Boy, CS Soldiers, Cyborgs, Kydian Overlord, etc.) as individual figures at new prices starting next Thursday. UPDATE: Robotech® Miniatures. There seems to be a fair amount of interest from fans in Palladium doing Robotech® miniatures. We also have been approached by, I think, four different gentlemen interested in doing Robotech® miniatures with us. I hope to start giving these guys a call next week to see what they have to offer. We may also be doing a new poll in the next week or two to get a clearer idea of what gamers would like to see. We’re getting excited about the idea, but we have a long way to go, including talking to Harmony Gold about the restrictions and costs of the license. That probably means keeping the figures small, but the one sample we’ve seen from one of these gents is impressive to say the least. Looking into it, but the release of new game books is priority number at the moment. UPDATE: Robotech®: The Genesis Pits Sourcebook. Author Irvin Jackson has been putting the final tweaks on it for a while now. He insists the delay has made it a superior book. We’re probably looking at a June release. WHAT COMES AFTER THAT? A lot. The Palladium Open House (May 3-6, 2012). There’s a fair amount of preparation that needs to be done, but we’re working on it and can hardly wait to see you all. I think I have the parking problem licked for this year’s event, though it may require some people to park down the street from the Palladium site (about a half a block). I hope to see a lot of gamers at this year’s event. If you can’t make it for the entire weekend, drive in for Saturday and/or Sunday. Rifts® Black Market. We should have the cover to show you in the next Weekly Update. The book is written by Matthew Clements and Taylor White and should be a quick edit. Rifts® Northern Gun™ One. The majority (as in 95%) is done and artists are working on artwork for it right now. All that remains are some tweaks, rewrites and additions. Rifts® Northern Gun™ Two. Ditto. More Rifts® miniatures, including new variations and new types. 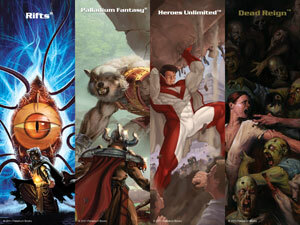 Sourcebooks for other game lines, particularly Palladium Fantasy®, Splicers®, Nightbane®, Beyond the Supernatural™, and Heroes Unlimited™. Comic books based on Palladium I.P.s. and other good stuff. Something of possible interest. Palladium artist Brian Manning is trying to start a business creating specialized artist products and accessories. He has co-designed their very first item, a “flat” LED, 10x13 inch, portable lightboard they are calling the FireFly Artist Light Board. To develop the product, they have launched a crowdsource funding offer and presentation through the well known and reputable company, Kickstarter. Brian asked me to mention it in my Weekly Update, so that’s what I’m doing. If you think you might be interested in the product or in helping the guys start their new business venture, here are the links you need to do so. REMINDER: Palladium Bookmarks, Set Two is available now. The new bookmarks arrived last Wednesday and look every bit as good as Set One. They feature Chaos Earth™, Phase World®, Nightbane® and Beyond the Supernatural™. The entire set is only $5. See the description elsewhere in this Weekly Update. Gaming at the Westland Library – March 31, 2012 – Saturday from 1-4 PM. I think we are about full up. I’ve been told 20 people have pre-registered and I think that’s about all Julius and I can handle between the two of us (especially if half have never played before). Don’t know if we’ll be able to find any other local G.M.s to pitch in. Thanks for registering early. Sign up by calling the library at (734) 326-6123 or online at http://www.westlandlibrary.org/node/3089. The gaming is from 1-4 PM, Saturday, March 31, 2012. The library is located on Central City Parkway between Ford Road and Warren. If you can’t get in, don’t forget there is the Palladium Open House May 4-6. It’s not free, but it’s worth the price of admission. I’m considering a half price at the door ticket for gamers who can’t make it till after 6:00 PM Friday or Saturday night. Seems like a cool thing to offer. So if you are in the local area (and that includes Ohio and Windsor, Canada), come on down and join the fun. Meet the Palladium crew, game with the creators of our games, enjoy panel talks, and, heck, you know the drill. Come on over! This event is like nothing you’ve ever attended. Open House Game Masters, get us your game descriptions! If you have any questions and Wayne isn’t getting back to you, contact Alex or call the office. We need your games. And reserve your hotel rooms as soon as you can. Your credit card does not get charged till the day of the event and you can cancel up to a week before. The hotel is inexpensive and excellent ($69.95 for two double beds or one king) and there will be two conference rooms (one small, one large) for all-night gaming at the hotel. NOTE: It helps Palladium if you reserve your hotel room BEFORE March 31. Thanks. UPDATE: Kevin’s Online Toy & Collectibles Store. Alex and I have been adding all kinds of new toys and action figures to my online store. More Palladium collectibles will be added every few days, too. We’ll try to add more new items a couple times a week, every week. Right now, they include Palladium gold editions, some artwork, art prints, The Rifter® #20, and various out of print books – most of them signed. We’ll keep them coming if you keep buying them. I hope everyone is as fired up about the upcoming book and miniature releases as we are. Check out the Rifts® Lemuria Sneak Preview and have a great weekend. Rifts® World Book 32: Lemuria – New – at the printer. 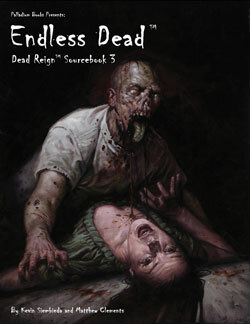 Dead Reign™ Sourcebook Three: Endless Dead™ – New – in production. 5 aquatic races: Lemurians, Junk Crabs, Ichthyleans, Merans and Milu. 224 pages – $24.95 retail – Cat. No. 885. April release. They look great. 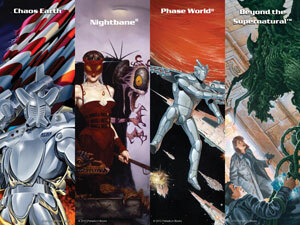 A set of four, 2 x 6 inch bookmarks, printed on both sides, each depicting a different Palladium game line: Chaos Earth™, Phase World®, Nightbane® and Beyond the Supernatural™. They are attractive, useful and make a fun collectible. The first set has been so popular, we had to do a second.